‘We knew from the moment we got engaged that we wanted our wedding day to be a reflection of us as a couple, and to be truly meaningful and unique. 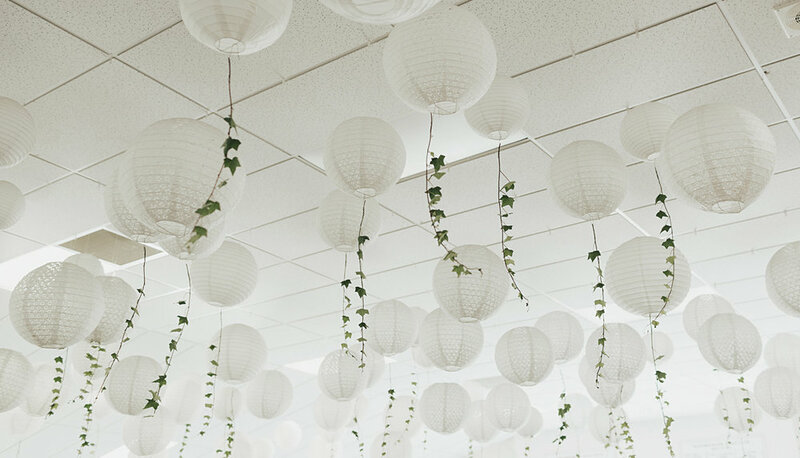 Our wedding style was a mix of rustic and organic with natural timbers, greenery and white. As the beautiful East Coast scenery surrounded our ceremony and reception venue, we wanted the landscape to speak for itself. We did a lot of preparation for our wedding, which was important to us, as we were able to add our own personal touches to our day. Both Matt and I have a love for natural timbers so we designed and made all of our signs and props out of recycled timber. We used wood from trees cut down in our gully to make all the different wood rounds for our ceremony and reception. Matt’s aunty made my gown, and my bridesmaids and I foraged for our bouquets. 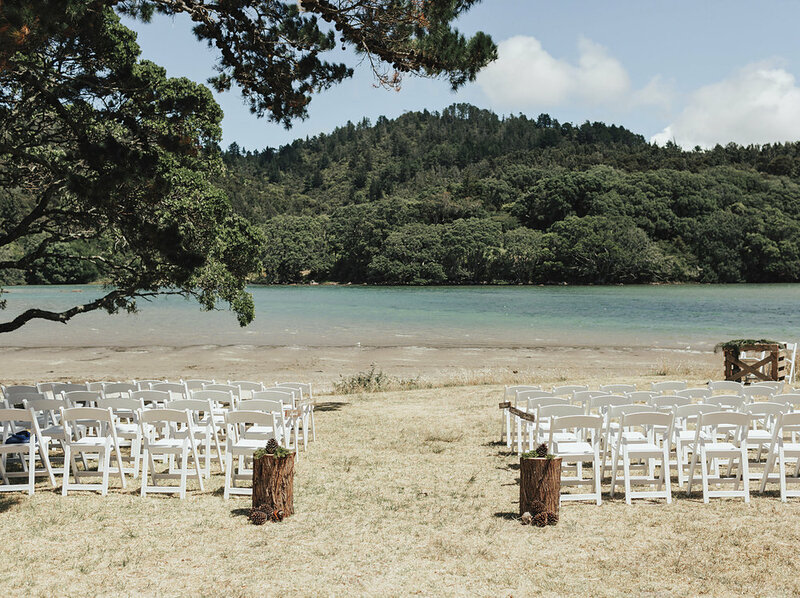 Our ceremony was held on the Whangamata Estuary in front of the water with the most stunning backdrop. The estuary is really meaningful to us as we walk our dog along it every day when we are there, and the spot we got married at is our absolute favourite! We had an intimate ceremony, as we wanted those that were closest to us to share in our day. Our incredibly talented celebrant, who is also one of our closest friends, crafted a beautiful, unique and heartfelt ceremony that was so true to us. Matt and I chose to write our own vows separately and it was so touching hearing that special person speaking to you from the heart. During the ceremony, we surprised our mums with a pink rose to symbolise our gratitude and appreciation for them, and I asked my mum to be my witness. After the ceremony, our wedding party snuck away for our photos with our incredible photographer. Knowing we wanted to make the most of the beautiful surroundings, she found the most amazing spots for us down a gravel side road near our reception venue. While we were having photos, our guests arrived at our reception venue. Our tables were styled with white chairs, tablecloths and napkins with a sprig of rosemary on top. 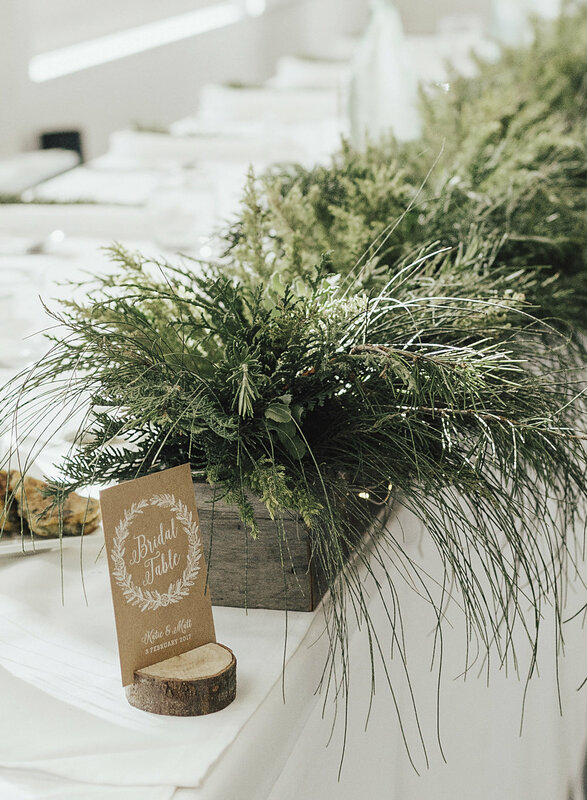 Our recycled timber centrepieces were filled with a variety of greenery with seed lights wired through, and the table numbers were slotted into a wood round. We had a table with our Polaroid hanger, guest book and marriage advice cards for our guests to leave us a message and some advice! 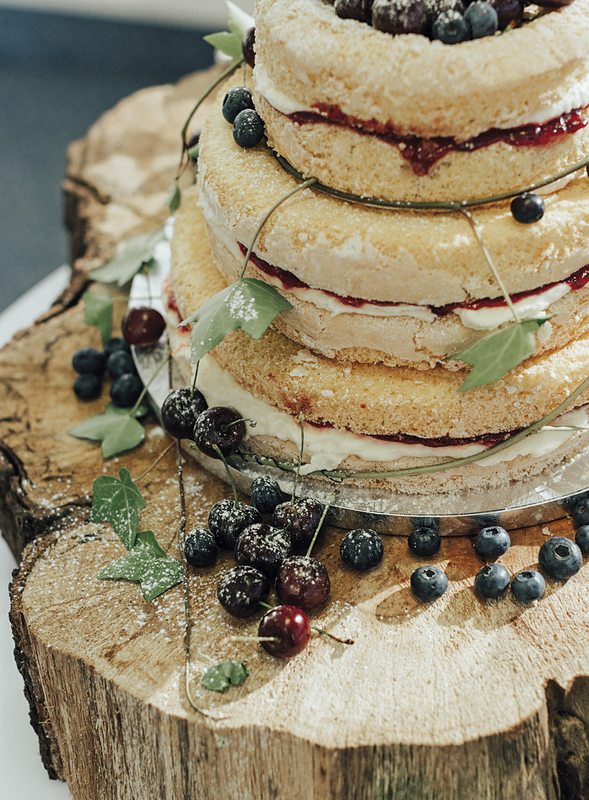 Our delicious cake that Matt’s mum made sat on a chunky wood round, and we hung ivy from the ceiling. Outside, we had badminton set up and a practice green with chippers and putters for everyone to enjoy. Everyone was entertained throughout the formalities by our MC, who is another one of our closest friends, and he was such a laugh! Matt and I had decided we weren’t going to do a first dance. As I love dancing, I secretly asked a group of my girlfriends if they wanted to do a flash mob instead. I picked my favourite dancing songs and had an instructor mash together a tune and choreograph the dance for us. It was just the best seeing Matt’s face on the night, as he had no idea about it at all! After this, our band arrived and got everyone on the dance floor, and we sang and danced the night away. Katie and Matt have won a luxury Nanuku Auberge Resort holiday in Fiji flying Air New Zealand thanks to Travel Associates, a custom-made sofa from Me & My Trend, a FUJIFILM digital camera, Samsonite suitcases, a Novadown duvet, a Savar gift card, a Denby dinner set from Raines Homewares, a Wallace Cotton gift card, an Instax Share Smartphone printer, a Mocka gift card, a George Foreman veggie spiralizer, a Russell Hobbs kettle and salt and pepper mills, and fragrances from Elizabeth Arden and John Varatos.